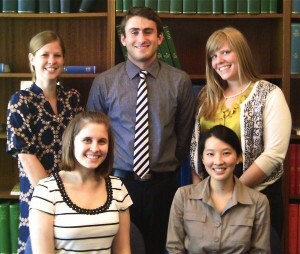 The NCHC Internship Program is an unpaid internship program designed to provide students, particularly graduate and law students, with an opportunity to engage actively in the nation’s policy debates in Washington, DC, learn about the non-profit sector, and have a hand in the formation and implementation of America’s health policy. Selected candidates work either part time or full time schedules, and a minimum two and a half month commitment is necessary before being selected. Travel stipends are available. Successful candidates will become part of a dynamic collaborative work environment in which one is expected to work both independently and as part of a team. Activities will vary based upon the successful candidates’ interests, background, and experience but may include legal, legislative, or economic research and analysis; communications; public education and policy advocacy campaigns; data collection; or membership services. Internship applications for Spring 2019 are now open. Please email a resume and cover letter to akempski@nchc.org. Fellows receive enormous educational opportunities, are given substantial responsibilities, and are an integrated part of the NCHC staff. Most notably, fellows have been actively engaged in developing issue briefs that served as the basis for part of the NCHC Forum series. In recent years, NCHC partnered with Princeton University’s AlumniCorps Program and the National Institute of Health’s Presidential Management Program to offer several longer-term positions. Please fill out our contact form or call our office to inquire how your fellowship program can partner with NCHC.